After a career as a customs officer in the Netherlands, Wim van Tienen was well aware of the toxic gas hazards presented by some freight containers, so in 2009 he started a company, Van Tienen Milieuadvies B.V., offering gas analysis and safety advice. The company grew quickly and now employs 23 staff. Wim attributes a large part of this success to the advanced FTIR gas detection and analysis technology upon which the company’s services depend. It has been estimated that there are more than 17 million shipping containers in the world, and at any time about one third of them are on ships, trucks, and trains. Over a single year, the total number of container trips has been estimated to be around 200 million. The air quality inside containers varies enormously, depending on the goods, the packing materials, transit time, temperature, humidity and the possible presence of fumigants. Consequently, many containers contain dangerous levels of toxic gases and represent a major threat to port and transport workers, customs officials, warehousemen, store employees and consumers. It is therefore essential that risks are assessed effectively before entry is permitted. The wide variety of potential contaminants represents a technological challenge to those responsible for testing, because if testers seek to detect specific gases, they risk failing to detect other compounds. It is also not practical to test every single container, so logical procedures must be established in order to minimise risks. In 2009, when Wim first established the company, container gas detection was carried out with traditional field measurement techniques (gas detection sensors and tubes). “This approach was complicated, costly and time-consuming, and it was impossible to cover all risks,” he says. “With sensors and tubes, only a limited number of compounds can be measured specifically. Furthermore, the accuracy of detection tubes is poor and they can suffer from cross-sensitive reactions by interfering substances. “Technologies such as PID-detectors respond to a wide variety of organic compounds, but they are not selective and unable to detect commonly found substances with high ionisation potentials such as 1,2-dichloroethane and formaldehyde.” Wim does not, therefore, believe that traditional measurement techniques are the best approach for covering all risks. “In order to test for the most common gases, it would be necessary to utilise a large number of tubes for every container, but this would still risk failing to detect other compounds and would be very expensive,” he warns. As a result of the problems associated with traditional gas detection techniques, Wim was keen to find an alternative technology and in 2013 he became aware of portable FTIR multigas analyzers from the Finnish company Gasmet Technologies. “The Gasmet DX4040 appeared to be the answer to our prayers,” Wim says. “The instrument is able to both detect and measure hundreds of compounds simultaneously; with this technique all inventoried high risk substances, such as ethylene oxide and formaldehyde, are always measured in real-time. Van Tienen Milieuadvies also employs a fully trained and highly qualified chemist, Tim Gielen, who is able to conduct in-depth analysis of recorded FTIR spectra when necessary. This may involve comparing results with Nist reference spectra for over 5000 compounds. Most of the gases that are detected and measured by FTIR analyzers are cargo related. Wim says: “Off-gassing during shipment is the greatest problem, producing VOCs such as Toluene, Xylenes, MEK, 1,2 dichloroethane, blowing agents such as isopentane, and butanes from the packing materials and products. 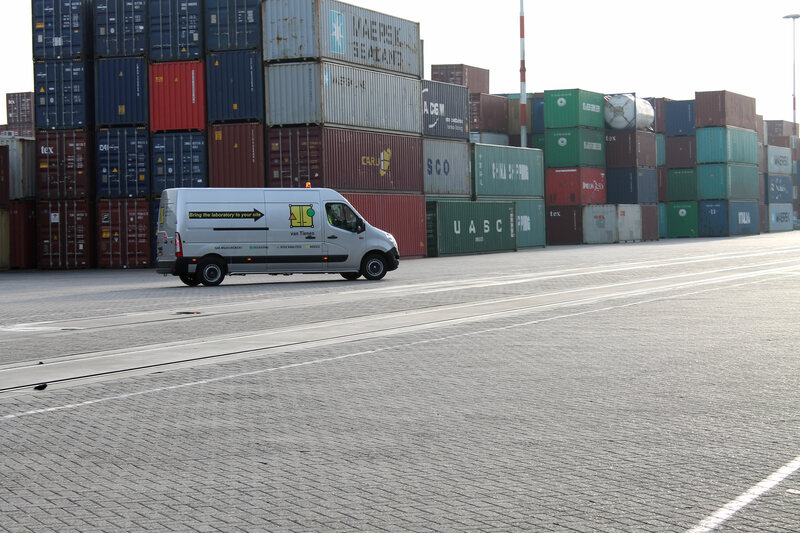 Once a container has been found to contain toxic levels of a gas or gases, it is necessary for that container to be ‘de-gassed’ which is a service that Van Tienen Milieuadvies provides. The process involves fitting a powerful ventilator to the door and capturing the gases with activated carbon. Once degassing is complete, it is important that the container is unloaded promptly, because the gases involved will re-accumulate quickly in a closed container, resulting in the need for repeat testing. “FTIR gas analysis has benefited this work enormously. For us, the main advantages are speed and peace of mind – we are now able to test more containers per day, and by testing for such a large number of target compounds, we are able to dramatically lower the risks to staff. The speed with which we are now able to test containers, coupled with the negligible requirement for service, calibration and consumables, means that the ongoing cost of monitoring is minimal. “Van Tienen combines the Gasmet DX4040 measurements with risk analysis, which provides the best protection for staff responsible for opening containers. We have LRQA certification for the procedures that we have developed to demonstrate compliance with occupational health and safety legislation. 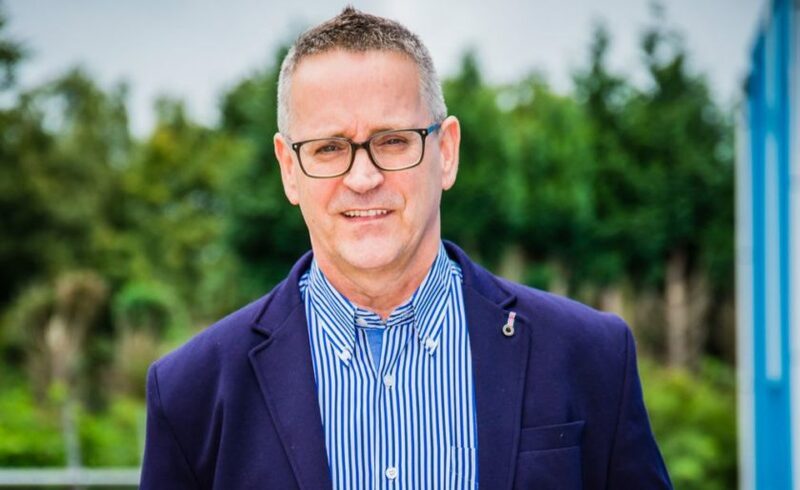 Looking forward Wim believes that the use of Gasmet FTIR will expand rapidly around the world as the risks associated with containers become better understood, and as employers become more aware of the advantages of the technology. Download FREE Container Gas Analysis White Paper here and learn more about the container measurements and other technologies.